Time To Bloom! What Makes Flowers Grow? 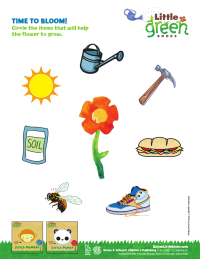 Circle the items that help flowers grow. Provided by Simon and Schuster Resources where you can find Little Green Books books. Think of one thing you can do to save the earth (and reduce your carbon footprint). Write it on the lines below. 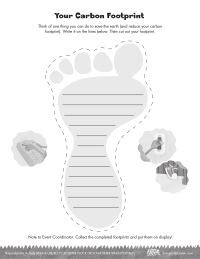 Then cut out your footprint. Provided by Simon and Schuster Resources. 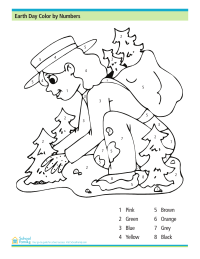 Enjoy coloring in this fall-themed color by numbers worksheet. 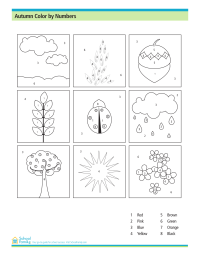 Use this Earth Day-themed color by numbers sheet to practice learning numbers and colors. 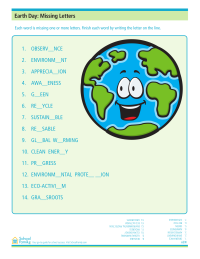 Guess which letters are missing in this Earth Day-themed missing letters worksheet.